The nutritional supplement section at the supermarket is growing faster than Woolies’ share price. Vitamins, fish oil, protein bars, fibre pills, probiotics, sports drinks, herbal concoctions… If you believe the advertisements, our diets are sadly inadequate, and pills and potions hold the key to our wellbeing. The message is obviously getting through because Australians spend around $500 million a year on vitamins and mineral supplements. I’ve even heard of people who spend hundreds of dollars a month on this stuff. To get to the bottom of this, I talked with Ada Hallam, a nutritionist who practices in Melbourne. Remember: This article is for informational purposes only. The content does not constitute or replace professional medical advice. If you have concerns about your health or nutrition, please see a health professional. MoneyTalks: Does the average Australian diet deliver sufficient nutrition? Should we believe advertisers when they tell us that our diet is inadequate? Ada: In an ideal world, Australians shouldn’t have to take supplements. We have access to a very wide range of high quality foods. A healthy, balanced diet will normally deliver all the nutrients most people need. But unfortunately we don’t live in an ideal world. The steady increase in diseases like cardiovascular disease, diabetes, and obesity indicate that the Aussie diet isn’t working. In fact, research shows that the average adult is now getting over a third of their daily calories from junk food. Junk food usually contains high amounts of sugar and fat and very little nutritional goodness. People are busy these days. We eat on the run and we eat a lot of processed foods. When you take all of these factors into account, I think it’s often hard for individuals to reach an optimal nutritional state through food alone. Nutrition also needs to be considered on a case-by-case basis. For example, pregnant women and women intending to become pregnant need higher levels of folic acid in their diet because it can protect against certain birth defects. MoneyTalks: If a person feels like their diet might be inadequate, what vitamin supplements do you recommend? Ada: Speaking generally, most people would benefit from a multivitamin. But people with health concerns or specific health conditions should seek professional advice. For those people, an understanding of therapeutic dosage and absorption are vital to ensure they get what they need. The reality is that most people self-prescribe supplements based on advertising or what they read on the internet. There also tends to be a one-size-fits-all approach, which can lead to people taking supplements in a combination or form that may not meet their needs. For example, let’s take probiotics. They’ve become hugely popular, but there are many different strains available and their clinical uses and effectiveness vary. People suffering from IBS-related symptoms will find greater relief from one particular strain versus someone who just wants to take a probiotic due to antibiotic use or for general health. 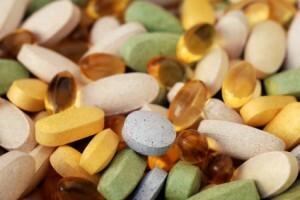 MoneyTalks: That leads to my next question: Vitamins vary widely in cost yet the ingredient list often looks identical. Does higher cost indicate better quality? Ada: In Australia, the manufacture and sale of vitamins is regulated by the federal government. If you’re buying a supplement over-the-counter from a supermarket or pharmacy, it should meet those regulations whatever the price. Keep in mind that our government doesn’t control supplements bought from overseas through the internet. In my practice, I use more expensive, practitioner-only products, but that’s because my clients often have chronic health conditions and I need to be able to formulate the dosage for their needs. The average, healthy adult will require much lower dosages, and a general multivitamin will be fine. Follow the instructions on the label. MoneyTalks: What's the best way to budget for good nutrition? Ada: That’s a great question. It’s one of the biggest challenges facing our nation. Processed food has become cheap food — cheap, empty calories. That’s why we need to embrace a new mindset and think of good nutrition as an investment. A balanced, nutrient-dense diet can protect against expensive, debilitating diseases like obesity, heart disease and diabetes. I recommend that people eat a minimum of five serves of vegetables and two serves of fruit a day. I like to tell my clients to “eat a rainbow” — the more colours on your plate, the more nutrient-rich your meal is. Essential fatty acids are vital for health — they’re called ‘essential’ because the body can’t make them. The best dietary sources include oily fish, nuts and seeds, and plant oils such as olive oil. Eat brown grains instead of white. Generally speaking, white foods (white bread, pasta, rice etc.) tend to be more highly processed and depleted of nutrients. Lastly, keep sugar to a minimum. Instead of juices and soft drinks, drink water (tap water is fine), and think of sugary foods as a rare treat.